Premier Denis Napthine and Prime Minister Tony Abbott officially opened the new state-of-the-art Murray Goulburn fresh milk factory in Laverton, Victoria that is aimed at assisting the successful launch of Devondale brand fresh milk. “Devondale brand fresh milk will give consumers more choice in supermarkets and an option to buy 100 per cent Australian-owned milk, supporting Australian farmers,” Dr Napthine said. According to the media release by the Premier of Victoria, the new environmentally-sustainable milk factory is equipped with the latest processing technology to deliver the highest possible quality standards. The factory also has built-in heat exchanges, oil-less refrigeration compressor technology and specially designed stormwater and trade waste systems. With the new factory, Murray Goulburn is on its way to become the nation’s most efficient producer of milk. “Dairy is a significant economic driver in Victoria, including the growth area of south-west Victoria, so this new plant is great news for Melbourne’s west,” Dr Napthine said. The Victorian Coalition Government has set aside $41.2 million for new initiatives in the 2014–15 Victorian State Budget intended for the food and fibre sector, including $35 million to boost exports of premium food and beverage products to Asian markets as part of the “Food to Asia Action Plan”. According to the media release by Murray Goulburn, the new plant is s part of a broader $500 million investment strategy over the next three to five years to revivify its manufacturing and supply chain infrastructure in the key product areas of nutritional powders, cheese and liquid milk. 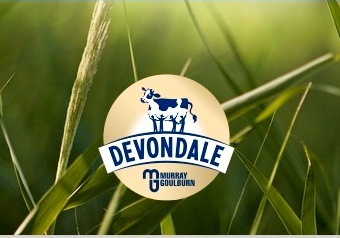 Devondale Murray Goulburn also announced that it will supply 1.3 million litres of milk each week in Victoria for Coles brand milk and Coles will also sell Devondale daily pasteurised milk in Victorian and NSW supermarkets for the first time. “Our contract with Devondale Murray Goulburn is unprecedented and is a great outcome for both dairy farmers and our customers,” said John Durkan, Managing Director at Coles.